Looks like a great selection as I am a beginner to the hobby of quilting. 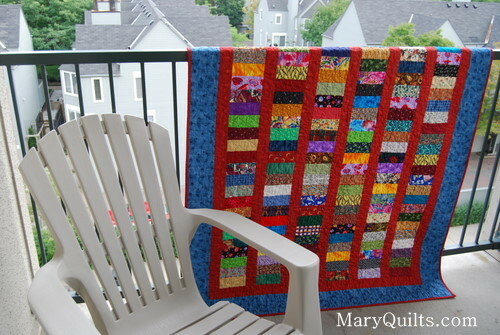 Hi, Mary, just discovered and love your site and quilts! Just curious why you ask us not to pin to Pinterest? What I love about Pinterest is that clicking on the pinned picture link takes you directly back to the site it came from, so it actually gets your site more pageviews, not fewer. If I were to pin the quilt from this page on my Pinterest board, the person clicking it would be brought right back here. Not disagreeing with your choice — every quilt designer has a right to decide how her patterns are used. Just curious. I’m a beginner and am never sure about the colors. I keep buying more and more material because the ones I bought don’t seem to go together. Is there a good way to choose material?